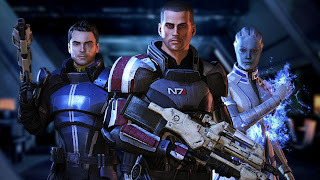 Mass Effect 3 demo out Feb. 14th! Apologize to your significant other now. The Mass Effect 3 demo will be available on Valentine's day! The demo will include campaign and cooperative multiplayer content. It will be available for 360, PS3, and PC. Kinect support will also be included for the 360 demo. There's been no word yet on whether those who purchased Battlefield 3 will get a chance to play as they were promised early access. "The extensive demo will allow players to experience the all-out galactic war against an ancient alien race known as the Reapers from multiple fronts, including the mind-blowing opening attack on Earth that kicks off the single-player campaign."